We specialize in moving homes and offices local or nationwide from a single items to full house or office. We know how stressful and time consuming house and office moves can be. We are here to make everything as simple, fast and stress free! Whatever you need to move, we will provide an individual and tailored service that allows you to focus on settling in to your new property rather than worrying about getting everything there. We offer a wide range of removals services to suit every budget from HOURLY RATE to FIX PRICE and we are known for careful and reliable moves at very affordable prices. So however much you need to move, we will be able to help. In fact, our dedicated team of experienced removal experts are here to make your move as smooth and quick as possible. The safe transportation of your furniture, belongings and prized possessions is our first priority. All your items will be wrapped in transit blankets and strong wrap-fitted covers and securely tied in the vehicle. For more information, please see our Packing page. We consider ourselves one of the region leading removals and storage/self-storage specialists. We believe in going the extra mile for our customers and you will find our staff courteous, unobtrusive and keen to help in any way possible. Whatever your removals requirements, we will be able to provide a competitively priced, high quality and reliable solution. 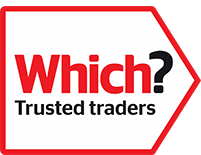 Leeds, Chesterfield, Huddersfield, Wakefield, Workshop, Mansfield, derby, Nottingham with vehicles going nationwide. 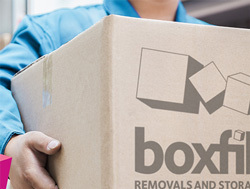 If you are thinking of moving home or offices and want a stress free and easy move, speak to one of our removals experts here at Boxfill. Contact us today on 0800 035 0943 to discuss your MOVING requirements with one of our helpful and friendly team.